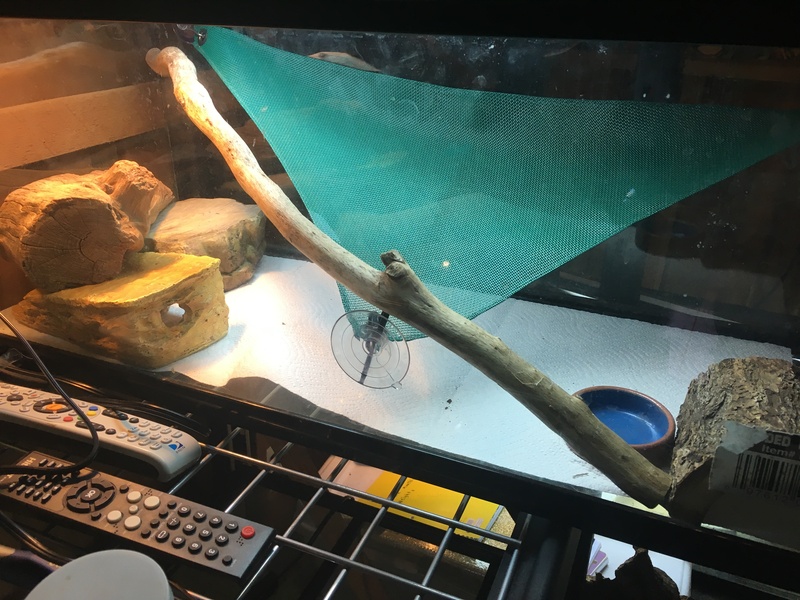 Setups okay for hatchlings? • Bearded Dragon . org . 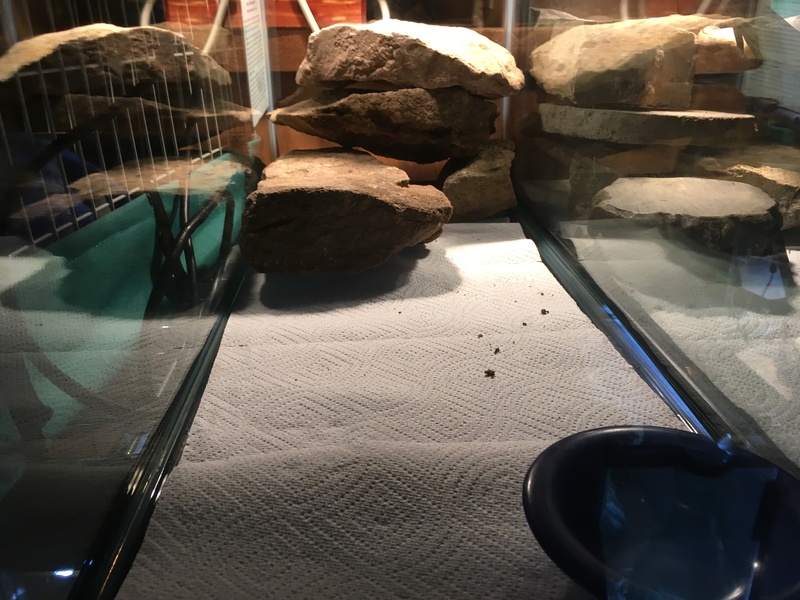 I have a few eggs from Venus's fourth clutch that may be hatching soon, so I set up two 20 gallon long tanks that I have (I have a third one that I'm gonna setup as well). I just want to make sure the enclosures are suitable as this is the first time possibly dealing with hatchlings. Each tank has a exo terra 75 watt basking bulb, and a 22" Reptisun T5 HO 10.0 bulb in a reflective fixture that sits on top of the screen. In tank 1 the temps on the cool side is around 75-80, with the warm side being 85-95 and the basking spot ranges from 100-105. In tank 2 the temps on the cool side is 80-85, with the warm side being 85-95 and the basking spots ranging from 100-110. Night time temps never drop below 70 in both tanks. 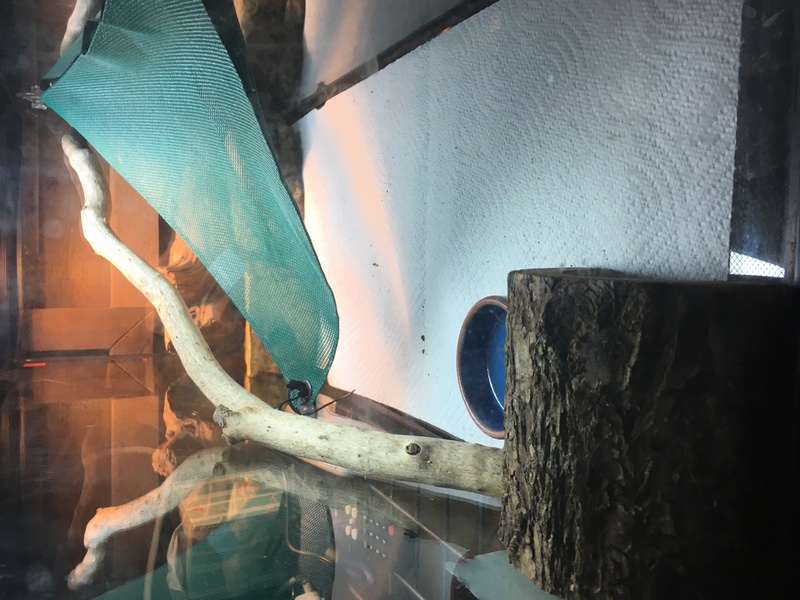 One of the tanks does have one of those green mesh hammocks, but I'm going to be covering it up with some sort of material so they can't hurt themselves on it. Also, any advice is very much welcomed. I'd hate to somehow mess up with these little guys. Re: Setups okay for hatchlings? That looks pretty good to me. Good UVB source and good temperature gradient. Way better than what a lot of the little guys live in at the stores (low bar, I know). Good idea to cover the mesh hammock. Might be even better to pick up a few fleece ones that you can throw in the washer if (when) they get soiled. I'm glad everything checks out. 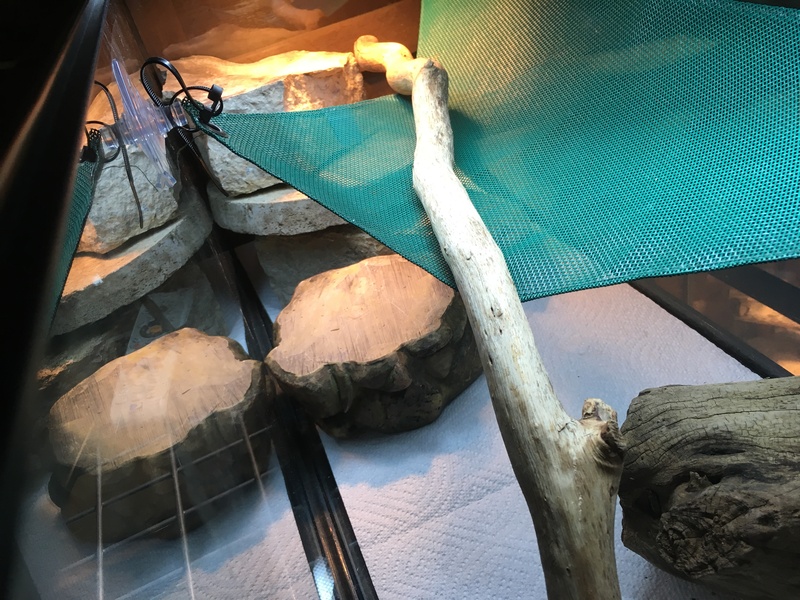 I might look into the fleece hammocks, that or get some of those seagrass hammocks that I have in my other beardies enclosures. Wants to see pics of all the babies! Hi there, how many babies do you have ? You mentioned a few so I was wondering if you will have one baby per tank. The sticks/branches are great for climbing, so that's well done. I would strongly suggest getting rid of all the hiding areas, a timid dragon can spend more time hiding than basking + eating and can become stunted + sick very quickly. I raised lots of clutches, you want the babies to be bold + comfortable by being used to seeing the world around them. Also if you have more than one baby at a time [ my clutches were large + I usually had 6-10 babies per tank ] and one of the babies gets nipped or something it may hide all the time so you can't monitor how it's doing. I'm pretty sure theres 15 eggs left in the incubator out of the clutch of 33, at least 3-4 of them appear to be infertile but the rest have veins, and then from what I could see 3 of the fertile eggs have babies forming inside of them. I'm hoping at least 3 hatch, but hopefully more. I'll make sure to get rid of the hiding areas and then replace them with rocks and logs/branches. 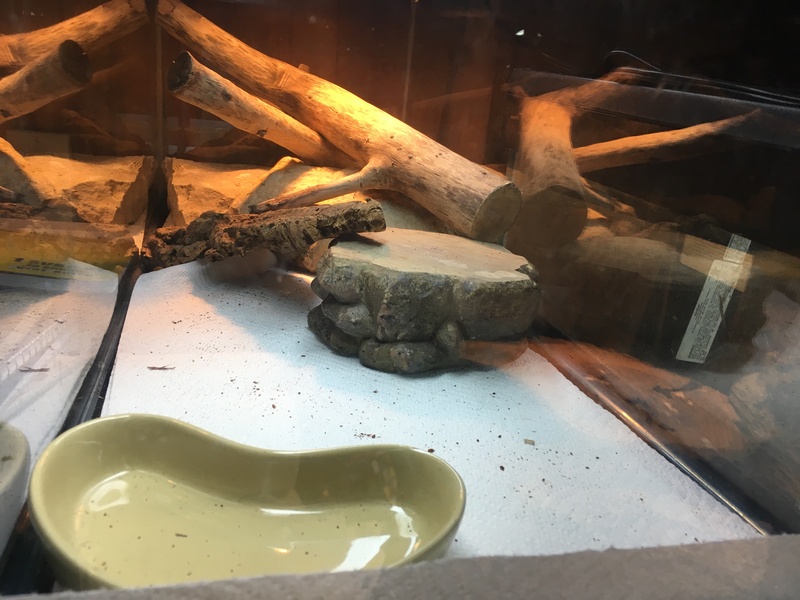 I'll be moving my blue tongue skink from a 55 gallon to a 50 gallon soon so once I clean the 55 gallon out if needed I could also put some babies in there as well. Okay, after lots of scrubbing and positioning of rocks I think for the most part it's good. Although I'm gonna mess around with it a bit to make sure it's perfect. Cool side 75-80, warm side 85-90, basking spot 90-95. Cool side 80-85, warm side 85-95, basking spot 100-120. 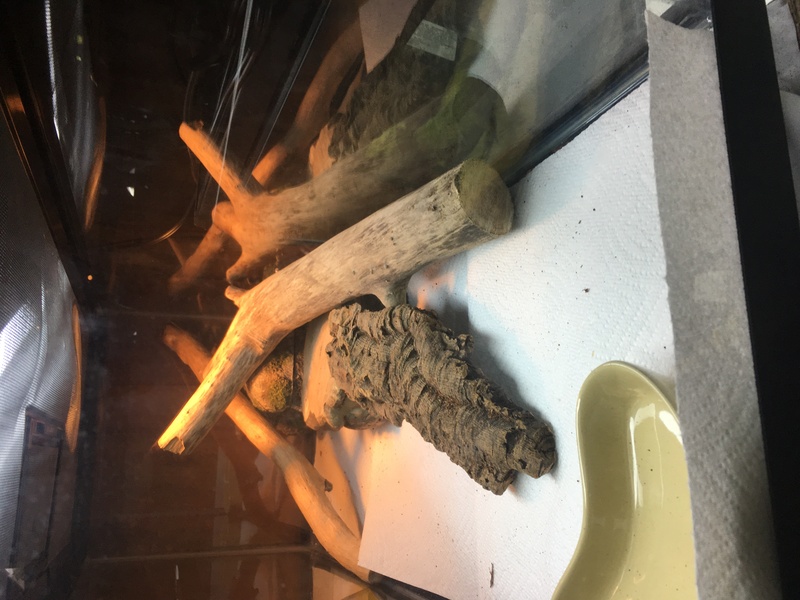 Definitely going to have to adjust some things, tank 2 may be fine since theres lower basking temperatures surrounding the high spot. Luckily I do have something I can use to move the basking light higher so its not so hot. 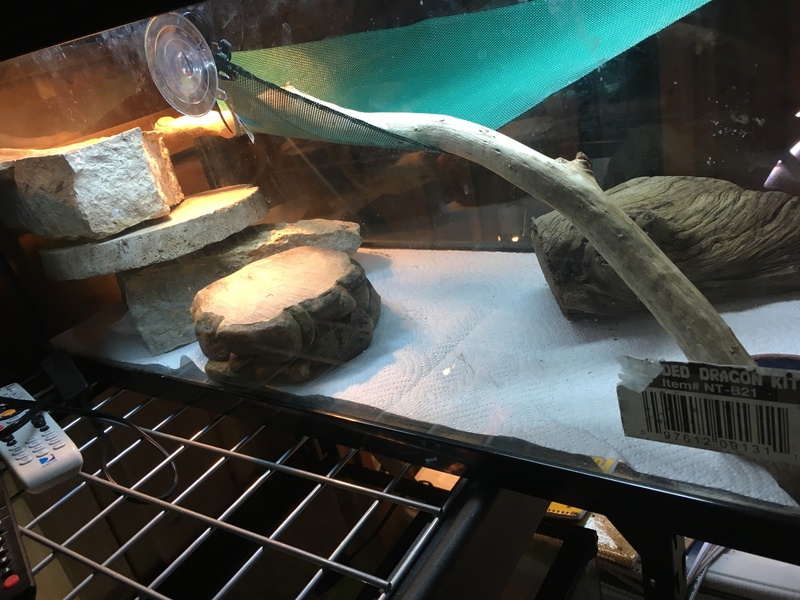 I'll probably have to upgrade tank 1's basking bulb to 100 watts to get it to the proper temps needed. We'll see what happens after I get the third 20 gallon setup though since they'll be right next each other. Also recounted the eggs, theres 12 not 15. Good, just set up the branches + the babies will climb all along them and watch for food like little hawks. 3-6 babies per tank will be fine. Got the third tank setup. The rocks look so unstable but surprisingly they aren't. Cool side 75-80, warm side 85-90, 95-99. Cool side is 75-80, warm side 85-90, basking spot 90-95. 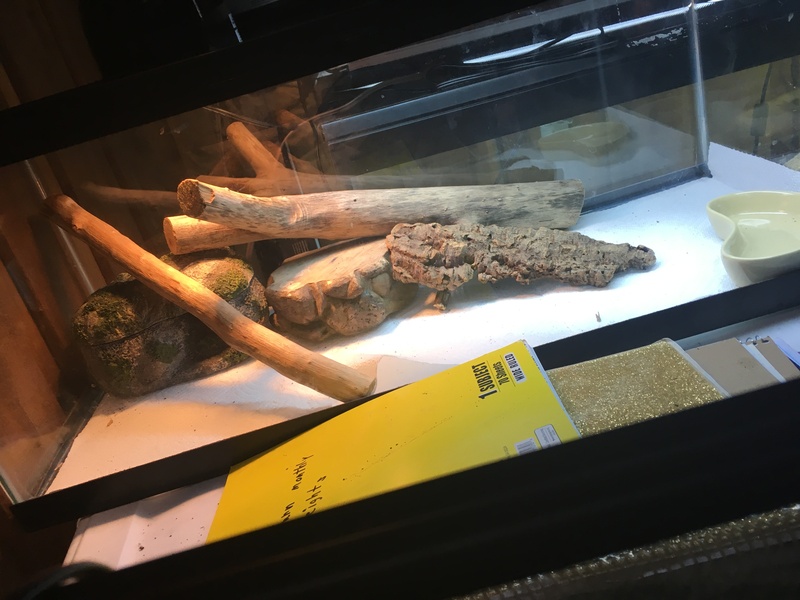 I'm gonna add a log to Tank 3 once I get it cleaned up so they have more things to climb on. Also gonna test out this other bulb I have and hope that it gets the temps up. Cool side 80-85, warm side 85-90, 100-107. Cool side is 80-85, warm side 85-90, basking spot 100-115. 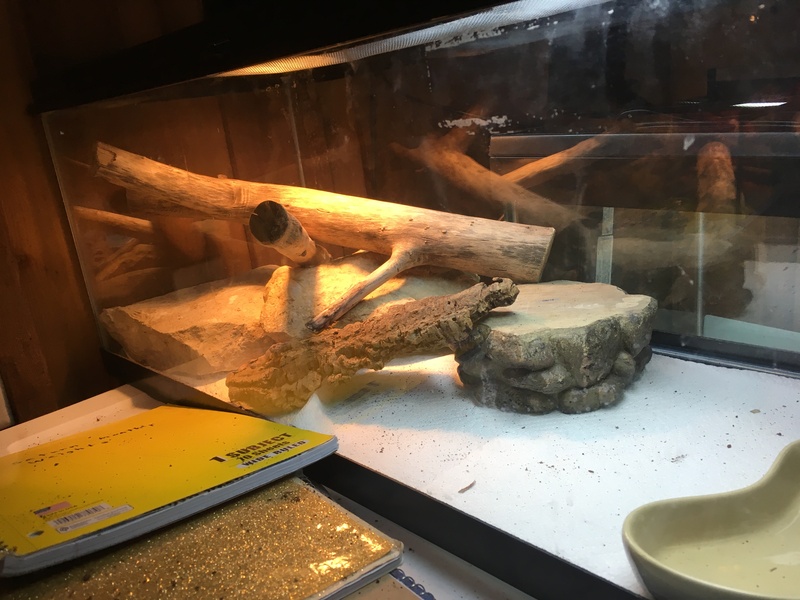 The higher wattage bulb really helped, I did have to lower the basking spot in tank 3 so it wasn't so high (I was getting readings as high as 140). I'd say the temps are getting close to being perfect now. EDIT- Kept the basking lamps running for a few hours to see if the temps would stay there and it went from being pretty good to extremely hot. Tank 3's basking temp went from 100-115 to 120-140 and Tank 1's basking temps went from 100-107 up to 110-115. Tomorrow I'm gonna try and find a bulb that isn't going to bake them.